It's Oscar Time, the Super Bowl Season for movie lovers, and Oscar nominations for movies released in 2015 will be announced this Thursday, January 14th. Naturally, Rosy the Reviewer has to also weigh in, so let's see how well I do calling who will get nominated in the big categories of Best Actor, Best Actress, Best Supporting Actor and Actress, Best Director and Best Picture. I will also make some predictions about Best Documentary and Best Animated Feature. Though I haven't seen all of the films, I think I know enough about the Academy and popular taste to make some educated guesses, so here goes. But before I do, you might be thinking, how hard is that for you to make your nomination predications? The Golden Globes were last Sunday. We know who was nominated for those and who won. And because of that, you might think this whole Academy Award thing is now a slam dunk. Think again. 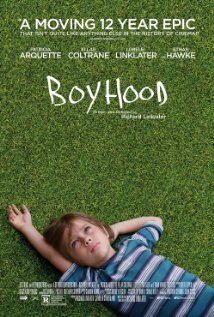 You may have forgotten that last year the Hollywood Foreign Press voted "Boyhood" as Best Picture while the Academy Award went to "Birdman." (The Golden Globes got that one right, in my opinion)! And who can forget Michael Keaton, who was the front runner for an Oscar for Best Actor and who had already won a Golden Globe, starting to take his speech out of his jacket pocket when the Best Actor nominations were read, only to have to put it back when Eddie Redmayne's name was read. Likewise, in a very controversial year, the 2004 Academy Award for Best Picture went to "Crash," while the Golden Globe went to "Brokeback Mountain." "Crash" didn't even receive any Golden Globe nominations at all and was a film many people thought was cheesy and they hated it. And Brie Larson, an almost unknown actress, winning a Golden Globe for Best Actress over the mighty and heralded Cate Blanchett last Sunday was a major upset, that may or may not be repeated on Academy Award night. So it's still anybody's game, and surprises are in store, especially when you consider that the Golden Globes divides the Best Picture and Best Actress and Actor nominations into Comedy and Drama. I have to whittle Best Actress and Actor Oscar nominations down to five. The controversy this year at the Golden Globes was "The Martian" in the comedy category. Kind of a sneaky way to ensure a win, I think. I mean, c'mon, "The Martian" vs. "Spy?" As much as I enjoyed "Trainwreck" and "Spy," those films can't compete with a Ridley Scott directed film starring Matt Damon, and you won't see those films nominated for an Academy Award, either, even though it looks like the Academy is still nominating up to 10 films (I thought they were going back to nominating only five, but I guess I was wrong). Comedies always get short shrift at the Oscars. So coming up with my list of Academy Award nominees is not that easy! And yes, the Golden Globes are fun (and this year it seemed to be particularly booze-filled with f-bombs all over the place), but who in the hell are the Hollywood Foreign Press, anyway? I can remember a time when the Golden Globes were laughable and were rumored that they could be bought (the studio that spent the most money campaigning usually won - that was the rumor). Denzel actually alluded to that on Sunday's show when he was honored with the Cecil B. DeMille Award (and if you have to ask who was Cecil B. DeMille? - you cannot call yourself a serious movie fan). Winning a Golden Globe is fine but ask any actor. The Holy Grail is winning an Oscar. Hands down. However, in recent years, the Golden Globes have gained some gravitas and are seen as a precursor to what will happen at the Academy Awards. 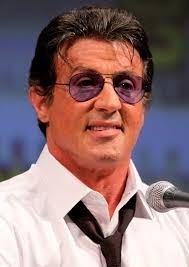 However, the Academy skews older and more traditional. We shall see. I guarantee you some surprises are in store. Leo DiCaprio, "The Revenant" Michael Fassbender, "Steve Jobs"
Eddie Redmayne, "The Danish Girl" Bryan Cranston, "Trumbo"
You all know I am totally in Eddie Redmayne's corner for a second Best Actor Oscar for "The Danish Girl." However, with Leo's win at the Golden Globes, I am thinking it's his year. 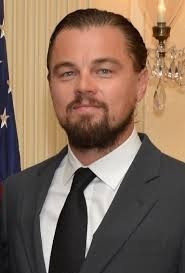 Though I think freezing cold weather, grunting a lot and fighting a bear does not compete with Eddie transforming himself into a woman, Leo has been screwed out of the Oscar so many times in the past, that I think it's his year. 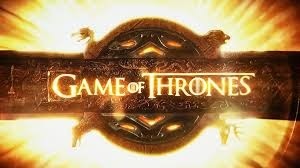 The Golden Globes opens up the playing field by nominating Best Actor and Actress in two categories: Comedy and Drama. So ten actors are nominated instead of only five by the Academy. So sorry, Will Smith, you didn't make it into my top five for "Concussion," your accent not withstanding. I had to cut you to add Matt Damon, who won a Best Actor Golden Globe in the comedy category. Everyone was shaking their heads about "The Martian" being a comedy. I wanted to add Michael B. Jordan for "Creed" to the mix, but I don't think he will make the cut. Cate Blanchett, "Carol" Brie Larson, "Room"
Saoirse Ronan, "Brooklyn" Jennifer Lawrence, "Joy"
The Academy has a bad habit of nominating lead actresses in the Best Supporting Actress category instead of Best Actress, thus almost assuring a win. The studios try to manipulate this to assure a win for their nominee. That's what I think will happen this year with Rooney Mara in "Carol," that she will be nominated in the Best Supporting Actress category, so she doesn't have to compete with Cate Blanchett. Otherwise, I agree with the Golden Globe nominations for Best Actress in a drama, though Brie Larson's win over Cate Blanchett was a huge upset as Blanchett was considered a shoo-in. I was surprised the camera didn't zoom in on Blanchett after Larson's name was announced. I am sure she was as shocked as everyone else! 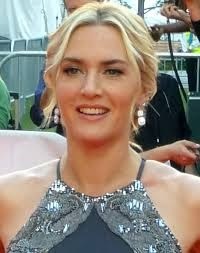 Again, the Golden Globes divided Best Actress nominations into two categories, comedy and drama. Jennifer Lawrence won for "Joy," again, hardly a comedy, so my adding her to my top five actresses for an Academy Award nod knocks Lily Tomlin, who the Globes had nominated in the comedy category, out of the running. And Amy Schumer and Melissa McCarthy, though very funny in "Trainwreck" and "Spy," respectively, and who were nominated for Golden Globes in the comedy category can't compete with my top five. Rooney Mara, "Carol" Helen Mirren, "Trumbo"
Kate Winslet, "Steve Jobs" Jane Fonda, "Youth"
Jennifer Jason Leigh, "The Revenant"
The supporting actor and actress categories are notoriously fickle and sometimes out of left field so it's possible that Alicia Vikander could end up here, though her role in "The Danish Girl" was NOT a supporting role so I am not going to even consider that. Sylvester Stallone, "Creed" Idris Elba, "Beasts of No Nation"
Tom Hardy, "The Revenant" Mark Ruffalo, "Spotlight"
This was my most difficult category to whittle down because there were so many good performances especially in "Spotlight." I hate to leave Michael Keaton out because of his huge disappointment last year losing in the Best Actor category for "Birdman," but I can only choose five and I think Ruffalo out acted him in "Spotlight." Tom Hardy was not recognized for "The Revenant" by the Golden Globes, but he's my new favorite actor. He's the new Daniel Day-Lewis, in my opinion, in his ability to inhabit his characters, but I think he has more of a sense of humor than Daniel. I don't know that for sure, but I think it's true. See Hardy in "The Revenant" and then compare that to "Locke." He is amazing. So though the Golden Globes recognized Michael Shannon for "99 Homes (which again was really a leading role, but don't worry about him. He has 12 movies either in production or ready for release)" and Paul Dano for "Love & Mercy," sadly, I can't. But note that I called the Stallone win (he won a Golden Globe for "Creed" in one of the most moving moments of the night) even before the nominations were made. Todd Haynes, "Carol" Ridley Scott, "The Martian"
Alejandro Inarritu, "The Revenant" Tom McCarthy, "Spotlight"
The question here is what about Steven Spielberg for "Bridge of Spies?" Since I haven't seen it, I am going to leave it off my list of Best Director nominations. As you may remember, I didn't really like "Mad Max..." but I recognize what it took to direct it, so George beats out Steven. 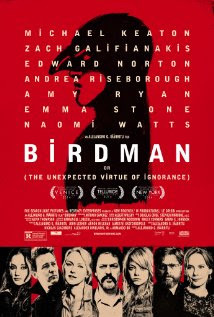 If Inarritu wins again this year, it will be two years in a row (he won last year for "Birdman.)" So here is where I am confused. As you may recall, as far back as most of us can remember, only five films were nominated for Best Picture. 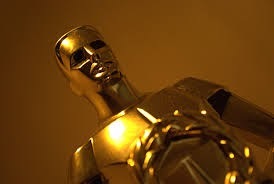 Then in 2009 the Academy decided that they would nominate up to 10 so as to recognize all of the really great films produced during that year. (This actually harks back to the 1930's and 40's when up to 12 films were recognized). However, I thought that they were going back to nominating only five. So not being sure how that stands until the nominations are made this Thursday, I am going to list ten, but I am going to list my top five first, in case only five are nominated. As I said, the Golden Globes divides the Best Picture category into Comedy and Drama which the Academy does not, so movies like "Trainwreck" and "Spy," though very well done and very funny, can't really compete. So I give the Golden Globes props for recognizing comedies, because they are not appreciated enough when it comes to getting an Oscar. Note that I have left "Joy" off of the list. Though I am a huge David O. Russell fan, I think "Joy" missed the mark. and I would rather see "Straight Outta Compton" get recognized. So we shall see, right? 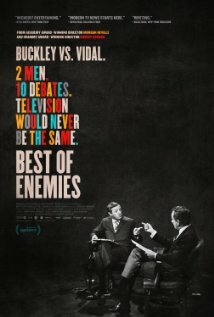 Though the Golden Globes did not nominate documentaries, I wanted to mention two that I think will be recognized next Thursday: The wonderfully compelling and sad "Amy," about the rise and fall of Amy Winehouse and the funny and acerbic "Best of Enemies," about the feud between William F. Buckley Jr. and Gore Vidal, one an arch conservative, the other a staunch liberal, who were continually paired together to discuss political issues and "discuss" is not actually the right word. Watch the film and you will see what I mean. But the film reminded me of a time when people actually cared about and watched two really, really smart people talking about issues that mattered. And Animated Feature Film? We all know which film will win that, don't we? See you Thursday when the 89th Academy Award Nominations are announced. I will also comment on how well I did on the Academy Award Nominations (unless I didn't do well at which point I will pretend I never said anything)! I guess the question is "Why haven't you seen Bridge of Spies?" Not enough spare time? Actually, Dan that IS the reason. I don't have enough time to see everything I need to see when they are in the theatres. I will see it eventually. Just saw "Carol" and actually didn't like it as much as "Far From Heaven" though Haynes always gets the repressed 50's right! Congratulations…you are pretty good at reading the Academy! (Nailed the Best Actor category) I am always way behind on my movie viewing (only seen Inside Out, Steve Jobs, Cinderella, and The Martian this year). So here is my question to the Reviewer….of all the movies nominated which one should I absolutely go pick up my keys and head out to go see? (The Revenant and Max Max really don't look like the kind of movies I would enjoy…even though they seem to be front-runners). I know you liked Brooklyn, and The Danish Girl and Spotlight… What will I feel horrible about if I miss??? Thanks, Susan. I actually had all of the Best Pictures too except I foolishly left off The Martian, which I knew would be nominated. Must have been subliminal as I didn't really like it that much. But Ridley Scott, the director, NOT being nominated was quite a snub. Likewise, Alicia Vikander being in the Best Supporting category is ridiculous, as she had as much screen time as Eddie. Likewise, "Carol" was actually more about Rooney Mara's character than Carol but the studio didn't want Cate and Rooney up against each other. The biggest shocker for me was Helen Mirren not getting a Best Supporting nod for "Trumbo." But anyway...as for your question. 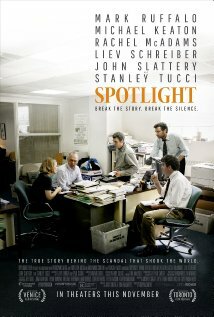 The one movie that you should NOT miss is "Spotlight." Though "The Revenant" has gained ground in recent weeks and it also won a GG, I still think "Spotlight" will prevail and win Best Picture. 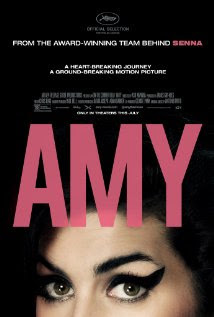 But whether or not it wins Best Picture, it is still a wonderful movie that should not be missed! Thanks Susan for your question. I am way way behind on seeing any of the current movies so I was wondering the same thing. I was initially interested in "Spotlight" and now that will be my first venture out to the movies. Thank you Rosie. I loved "Cinderella" btw. I am such a sucker for that type of movie. I was able to go to a sneak preview with a friend and was totally charmed by little girls attending in their blue Cinderella dresses. I loved "Cinderella" too. I gave it a very good review and listed it as one of the best of the year when I was midway through. But, yes, sazzy, see "Spotlight." 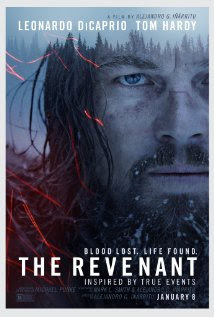 I am still hoping it will get Best Picture, though "The Revenant" is gaining ground on it.